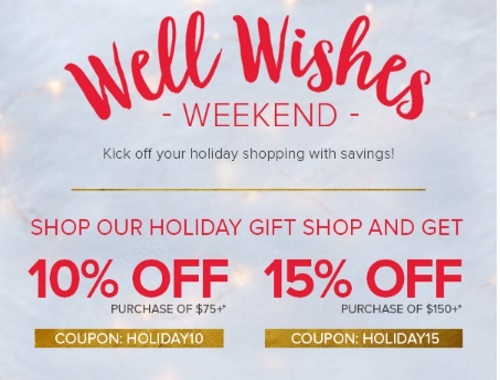 Well.ca is offering a Well Wishes Weekend to kick off your holiday shopping with savings! Save up to 15% off on your purchase in the Holiday category. Offer ends November 13, 2016 at 11:59pm ET.